One of Star Wars’ defining hallmarks is its fast-paced starfighter dogfights. There are countless models and toys that you can reenact iconic scenes with, but these require a bit of imagination. However, with a $39.99 Collector’s Edition Star Wars Propel Drone, you can relive these scenes right before your eyes. The Collector’s Edition Star Wars Propel Drones are detailed, hand-painted models controlled by Propel’s Reverse Propulsion technology. This allows the drones to reach up to 35 MPH and execute aerial maneuvers with the push of a button. They have an average run time of around 6 to 8 minutes or just enough time to blow up the Death Star! You can train your flying skills by choosing between 3 different speed settings and completing up to 30 training missions via the accompanying app. If you and a friend own more than one drone, you can play a multiplayer match from the app. The Star Wars Propel Drones include a T-65 X-Wing, a Tie Advanced X1, and a 74-Z Speeder Bike, so you can relive Luke’s Death Star run, his and Leia’s Endor chase, or create your own scenarios. 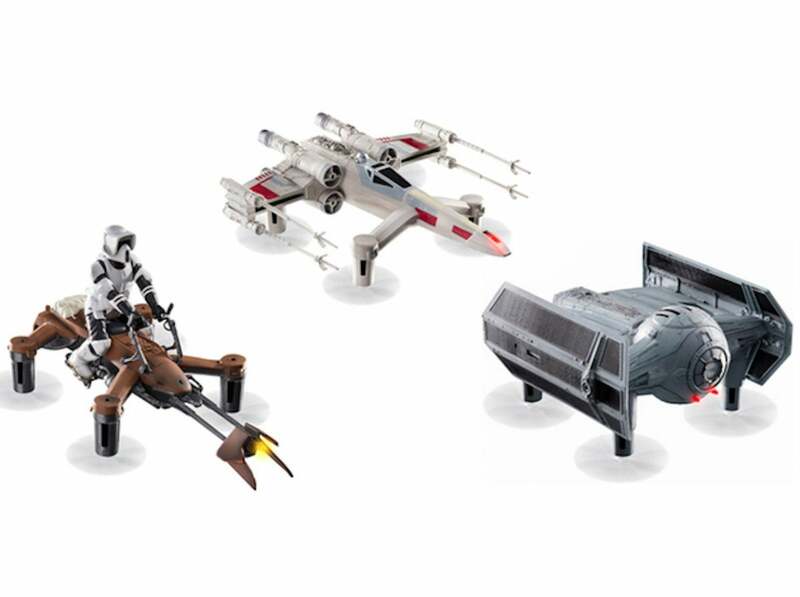 With the Collector’s Edition Star Wars Propel Drones, you and your friends can reenact some of your favorite scenes from the original trilogy for $49.99 per drone, down from $149.95. However, the PCWorld Shop is running a Cyber Monday deal for 20% off with offer code CMSAVE20, bringing the final price per drone down to $39.99.